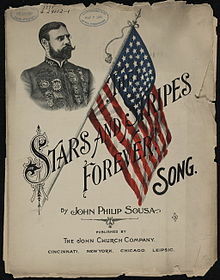 The Stars and Stripes Forever. Amen? The fourth of July weekend is a tricky one in churches in the US. It’s especially tricky in culturally conservative parts of the country, though I don’t imagine that there’s any place that’s immune. The wise thing to do isn’t to put up a huge middle finger and accuse everyone of idolatry. Because it’s the air so many of us have breathed for so long (especially our parents and grandparents), dealing with matters of God and country requires gentleness and wisdom. But neither should we cave in and sing My Country ‘Tis of Thee or The Battle Hymn of the Republic. So what do I do? I cheat. We sing my favorite “fake” patriotic hymn: God of Our Fathers. It has enough civil connotation to evoke some of the nostalgia that hymns to America do, yet the text isn’t about America, it’s about our fathers (and mothers) in the faith. It’s much more Hebrews 11 than July 1776. As wonderful as they are, the stars and stripes won’t last forever. Jesus’ kingdom will. Post filed under General Christian Worship, Hymns, Music. Great write-up Eric. I enjoyed Peter Leithart’s blog on the topic.